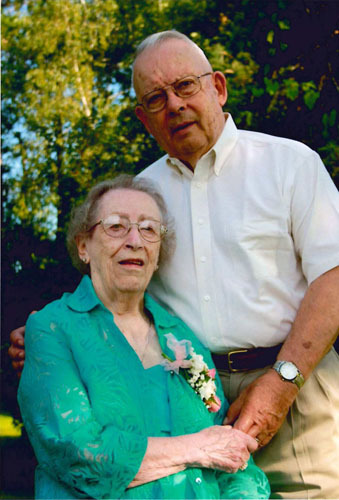 The bustling town of Massena is where they met. 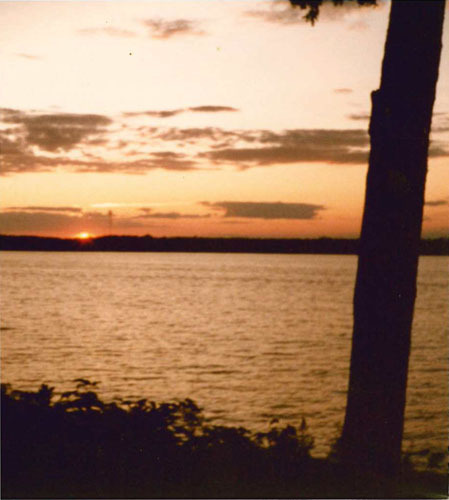 Today, they live in Gouverneur and along the St. Lawrence River. 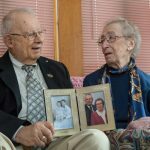 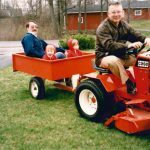 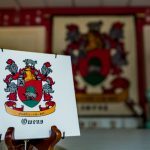 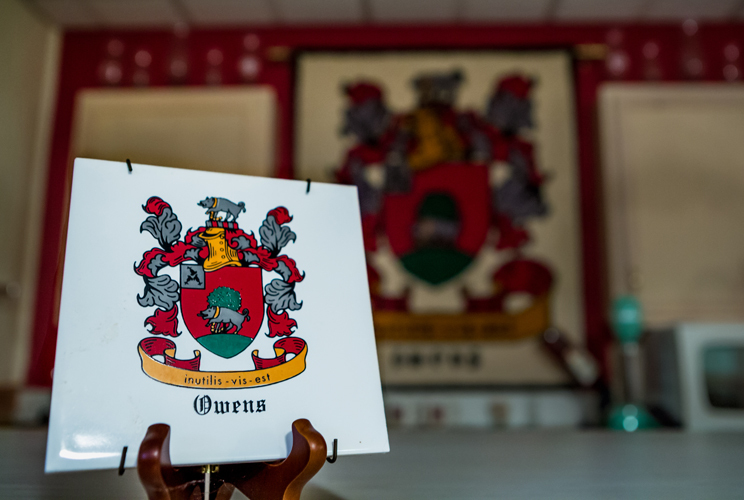 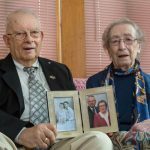 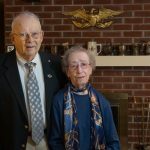 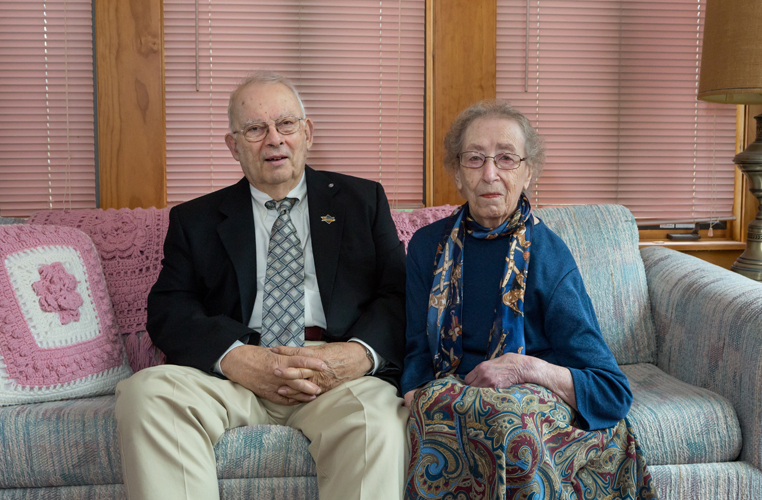 But for Charles and Higouhi Owens, St. Lawrence County has always been their home. 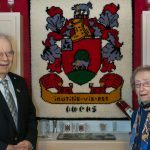 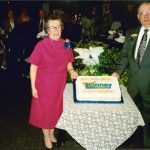 Charlie and Hi give listeners a glimpse into the North Country’s thriving communities following the opening of the St. Lawrence Seaway. 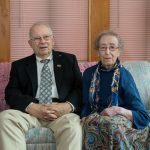 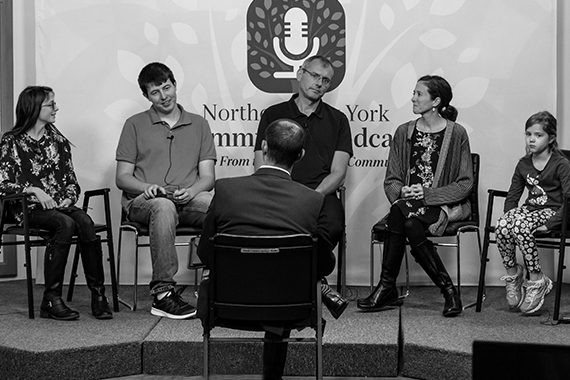 Charlie and Hi also discuss the importance of starting a STEM-related scholarship for area students and the importance of philanthropy to the future of St. Lawrence County. 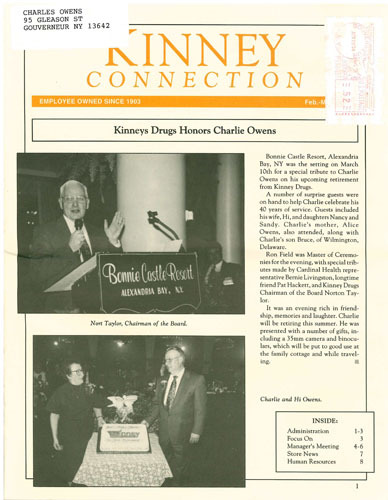 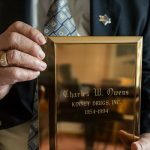 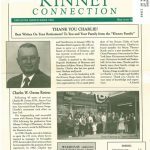 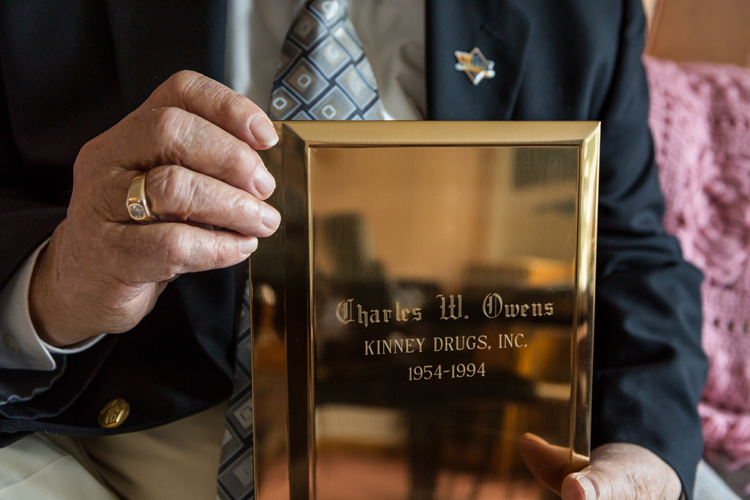 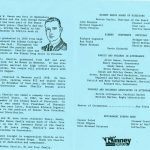 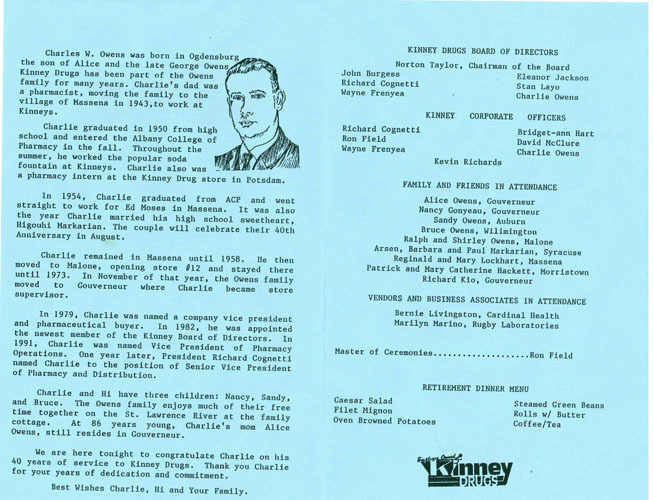 A Kinney Drugs newsletter features Charlie’s retirement after 40 years of service. 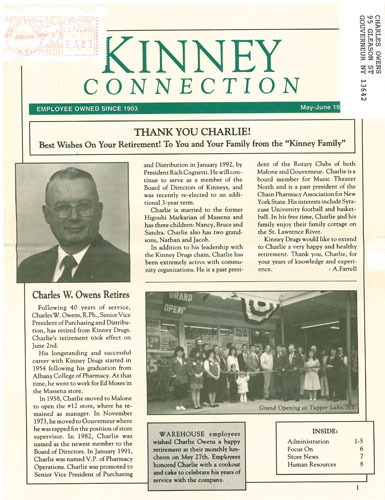 The inside of the program from Charlie’s retirement dinner after four decades at Kinney Drugs. 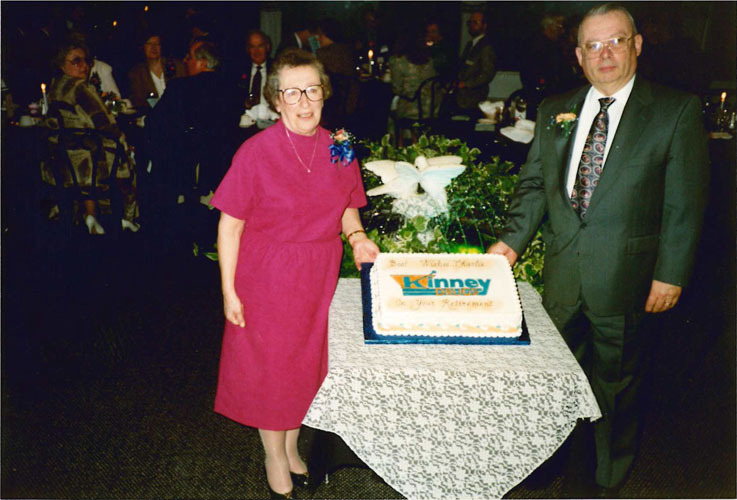 Kinney’s put together a special cake for Charlie’s retirement party in 1994. 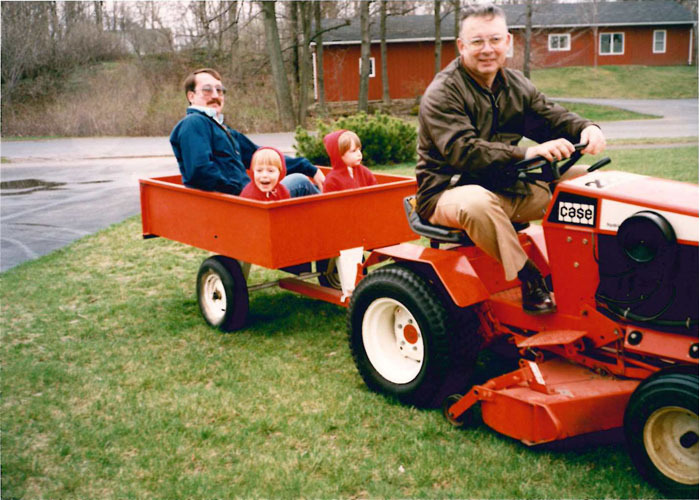 Charlie having some fun with his son, Bruce, and two grandsons, Nathan and Jacob. 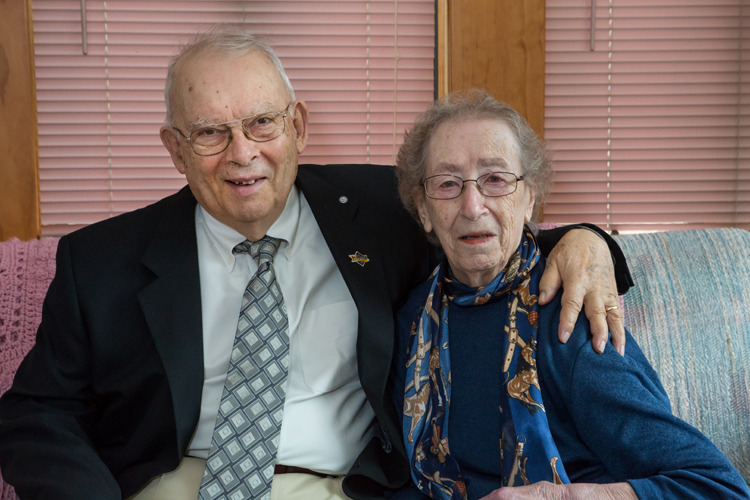 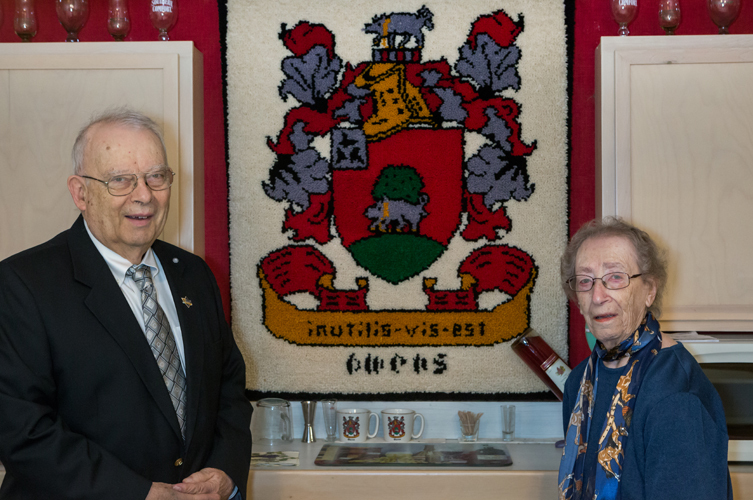 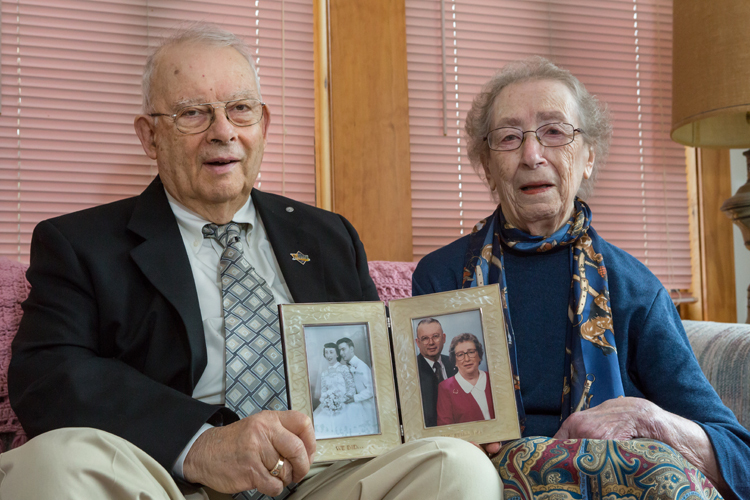 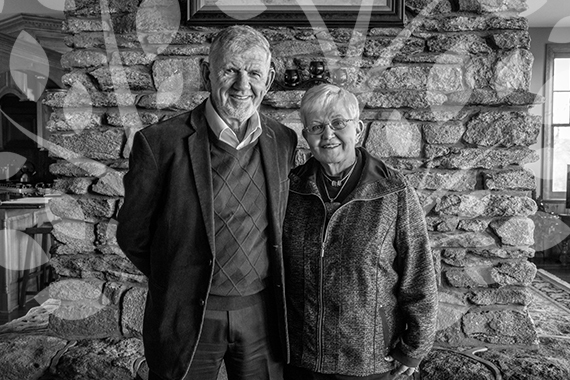 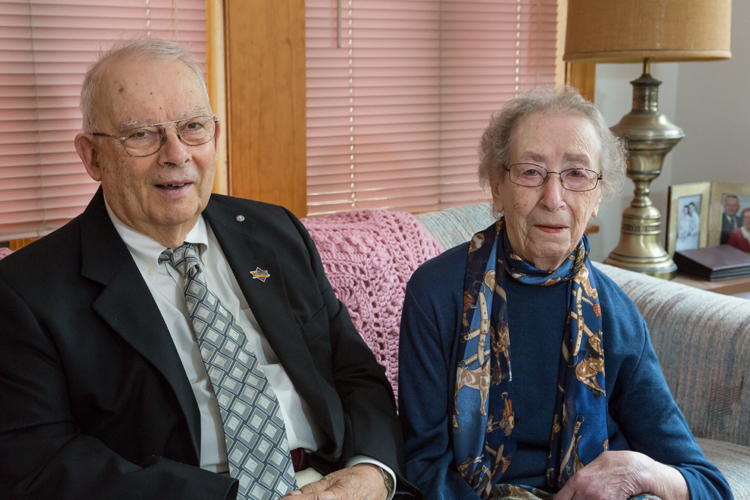 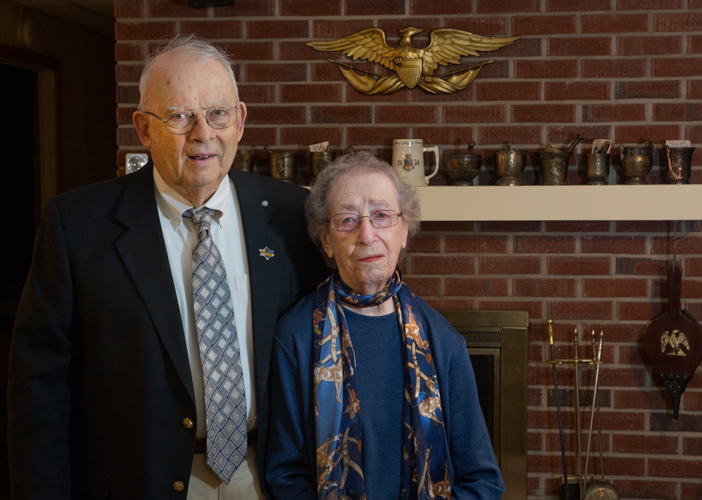 Hi and Charlie celebrated their 60th anniversary in August 2014. 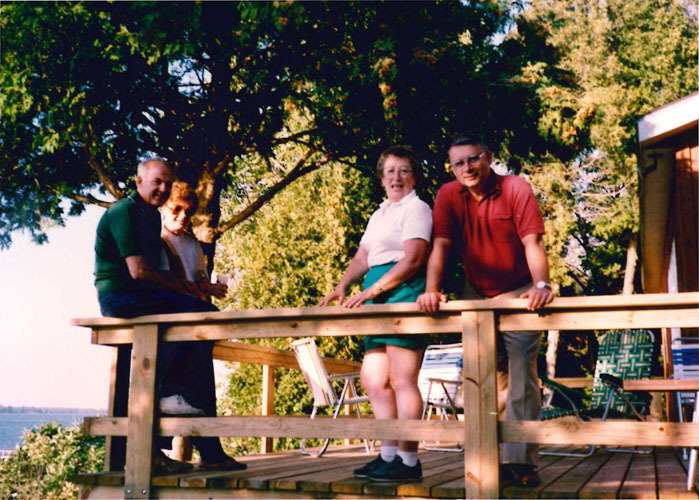 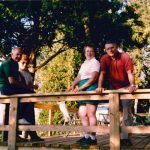 The Owens have always enjoyed hosting company at their camp along the St. Lawrence River near Morristown. 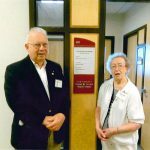 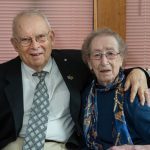 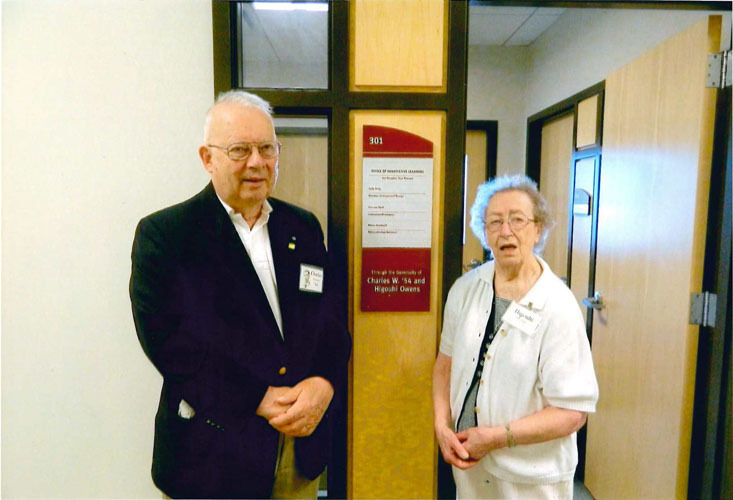 Charlie and Hi made a generous gift to support the Albany College of Pharmacy’s Department of Innovative Learning. 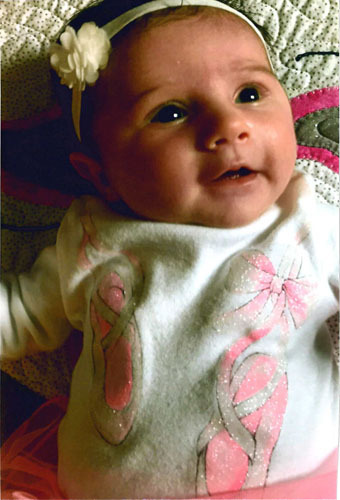 Charlie and Hi’s great-granddaughter, Avery Owens, was born in October 2017. 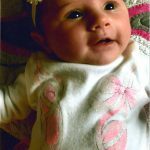 This is a picture of Avery at one month old. 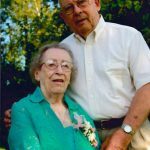 She is the daughter of Jacob and Tiffany Owens. 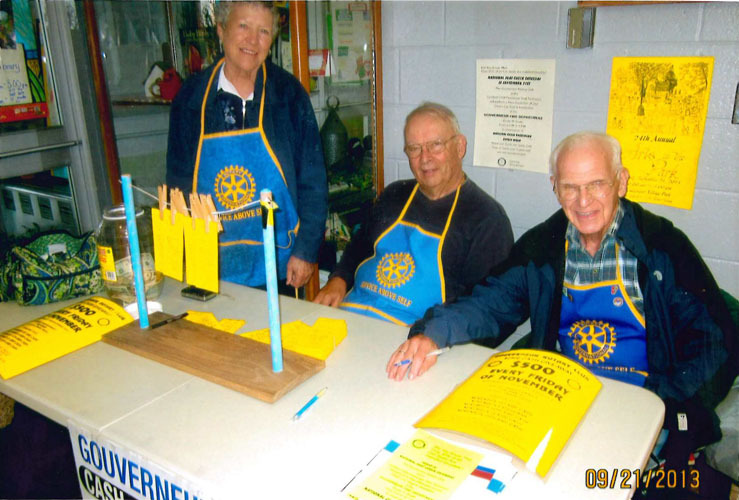 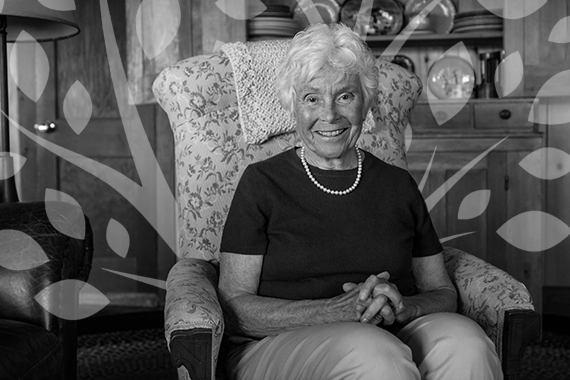 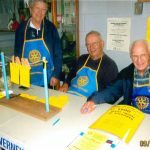 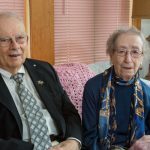 Charlie has been a longtime supporter of the local Rotary Club and its mission. 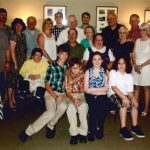 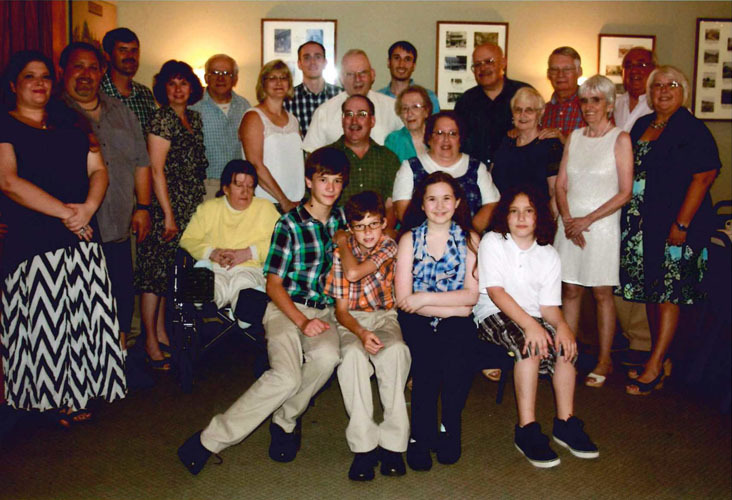 Charlie and Hi brought both sides of the family together for a reunion in 2014. 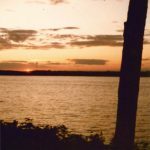 One of the greatest joys of the Owens’ camp were the sunsets along the St. Lawrence River. 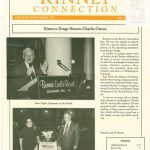 Another Kinney’s newsletter highlights Charlie’s retirement party.